So you are confident in your choice of size, we have for you here provided a size chart available. To assist you in choosing the size, we have a graphic below to Powerslide sizes for men and women. Imagine. Onto a meter stick / ruler with your heel completely to the wall You measure from the heel to your longest toe note this size and add to +1 cm. Then you can find out about the details of the error cm size. 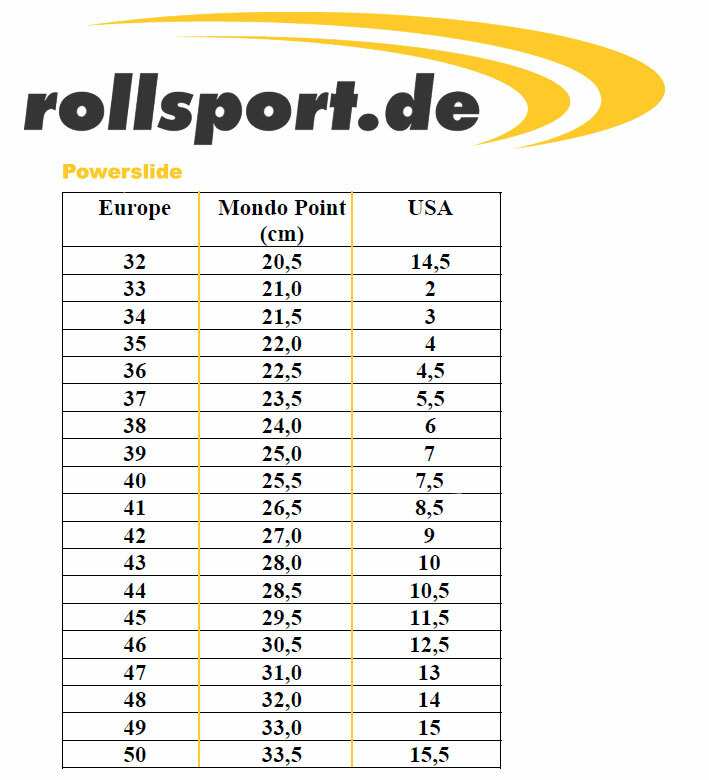 Any questions for Powerslide Size Chart? Then you can feel free to contact our customer service.